On March 24th 2016 the Irish Linen Centre & Lisburn Museum opened ‘Rising Voices: Lisburn at Easter 1916’, a new exhibition exploring the Easter Rising and Lisburn, through the story of individuals associated with the town. When the Rising broke out in April 1916 Lisburn, like many towns in Ulster, was quiet. There was little public support for this ‘very silly’ rising, particularly as a large number of men from the town – both nationalists and unionist – had joined the war effort and marched off to the front. Yet a number of individuals from Lisburn were caught up in the Rising. And, from the activities of IRB men Bulmer Hobson, Herbert Moore Pim and Ernest Blythe and the local Irish Volunteers who mobilised at Coalisland, to the local men and women who helped quell the fighting in the capital – active with the RIC or Irish regiments in the British army – this exhibition explores the different voices and experience of the town and its people during the Easter Rebellion 1916. Lisburn’s Rising Voices: viewpoints from Blythe, Hobson and Pim; Soldiers at the Front, and Military Medal winners who fought in Dublin; the views of the Lisburn Standard and the Urban District Council; as well as Nettie Mitchell, Lusitania survivor and nurse in Dublin during Easter week. The ‘Tricolour Trophy’: the unbelievable story of Sgt Davis, Dr George St George and how the tricolour that flew upon the GPO made its way to Lisburn! To mark the Centenary of the first day of the Battle of the Somme, the Irish Linen Centre & Lisburn Museum presents its new major exhibition: The Somme, Our Story, 1916 . Packed with letters, photographs, original artefacts, documents and archival footage, the exhibition offers up a social history of the Somme, examining the men from Lisburn and district who fought and died in the battle (which lasted from July to November 1916), and how this impacted their families at home. The Great War (1914-1918) affected all aspects of live in Ireland, and alongside the story of the local 11th and 13th battalions Royal Irish Rifles at the front, and the experience of those back home, the exhibition examines the local medical men and women who nursed the wounded and comforted the dying, and the role Ulster’s wartime industry, particularly its linen factories, had in winning the war. Lisburn’s ‘Pals’: the story of how Linen men of the 11th battalion, Lisnagarvey Hockey and the town’s Orange lodges went to war together. RAMC, VADS and Nurse: Medical men and women at the front. 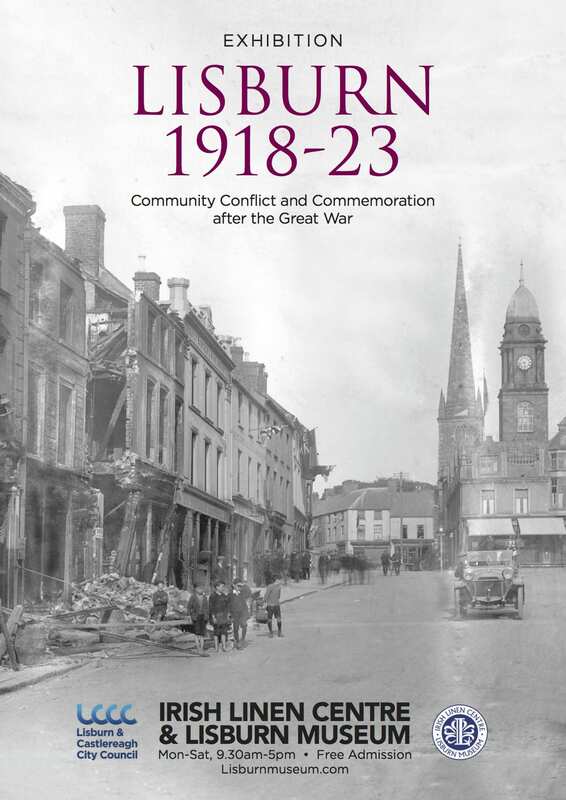 ‘Lisburn 1918-23, Community Conflict and Commemoration after the Great War’ is a new exhibition detailing the events in Lisburn from the immediate aftermath of the Great War (1914-18) to the 1920 ‘Swanzy Riots’, through to the unveiling of the town’s war memorial in 1923. This story is told within the broader context of post-war Ireland, including the Irish War of Independence, the foundation of Northern Ireland and the Irish Civil War. Using photographs, letters, artefacts, books and uniforms, this exhibition documents the rich history of Lisburn and surrounding area during a turbulent period in the history of Ireland. The story of the 1918 election, from the granting of the vote for women, to the Sinn Fein challenge in South Antrim to Charles Curtis Craig, unionist and veteran of the Somme. The story of the IRA assassination of Royal Irish Constabulary (RIC) District Inspector (DI) Oswald Ross Swanzy in Market Square, and the sectarian ‘burning’ of Lisburn that followed the murder. Includes rarely seen photographs! Unveiling of the war memorial, 1923 and commemoration of Lisburn’s Great War dead. Celebrating the bicentenary of the birth of Sir Richard Wallace (1818-90), the Irish Linen Centre and Lisburn Museum’s major new exhibition (opening 21 May 2018) tells the story of the famed philanthropist, art collector and landlord, and his lasting legacy in Lisburn. Through photographs, prints, original artefacts, 3D-printed reproductions, dioramas, and objects from Castle House – which have never been publicly displayed – this exhibition documents the life of Sir Richard, his gifts to the town and Lisburn’s connection to the ‘greatest ever single’ bequest of art to a nation: the Wallace Collection. During the Great War (1914-18) more women than ever went out to work, largely in support of the war effort. But what was the lasting legacy of the war for women? Did their new-found freedoms last? 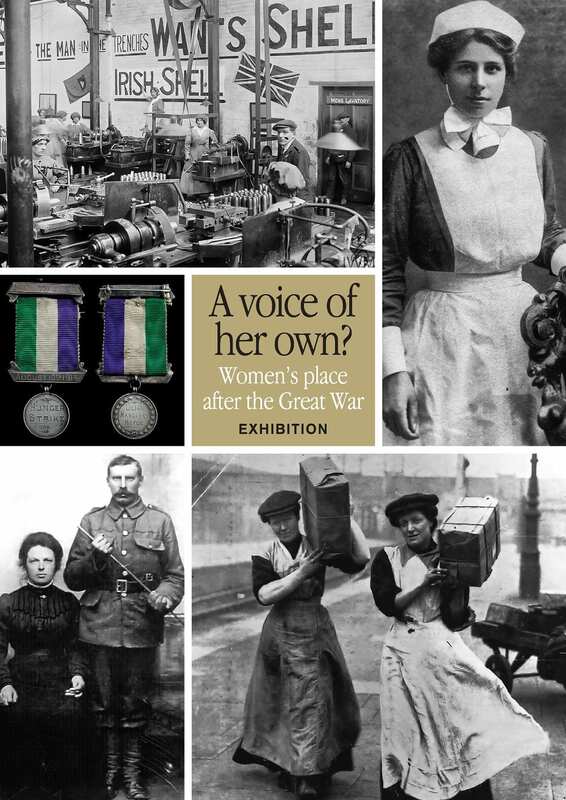 In this exhibition the Museum will use objects and photographs from its collection to explore the place of women in Ireland from 1914-19, examining war work, at home and at the Front, as well as domestic life and politics. 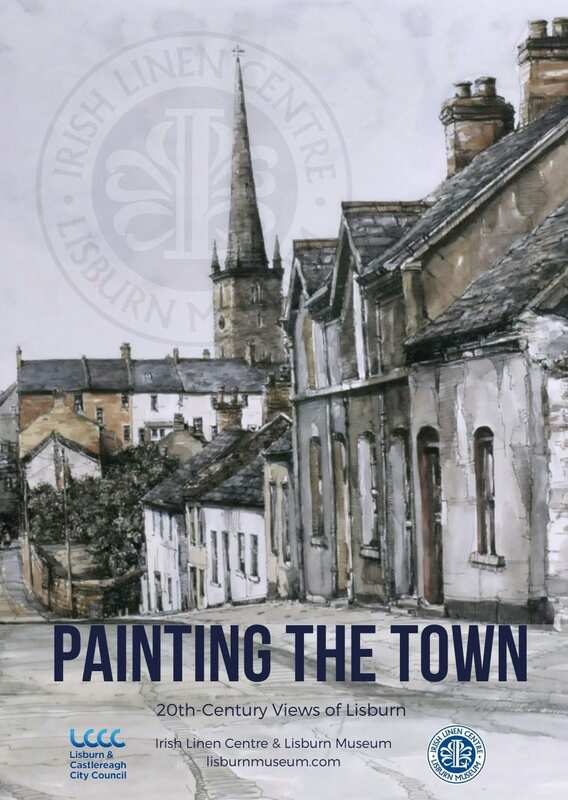 Taken from the Museum’s extensive art collection, the exhibition depicts views of Lisburn from its recent past, and examines the town’s architectural heritage, from Georgian townhouses to long-forgotten secret gardens. Taken from the Museum’s extensive art collection, the exhibition depicts views of Lisburn from its recent past, and examines the town’s architectural heritage, from Georgian townhouses to long-forgotten secret gardens. The exhibition is open Monday to Saturday, 9.30-5pm and entry is free. And work from Jim Dunlop, Jack Calderwood, Anna Cheyne , Patrick Stevenson PPRUA, Joe O’Kane, Eric McCully, Stephen Gourley and Raymond Piper. Join us for our free popular Easter craft workshops! 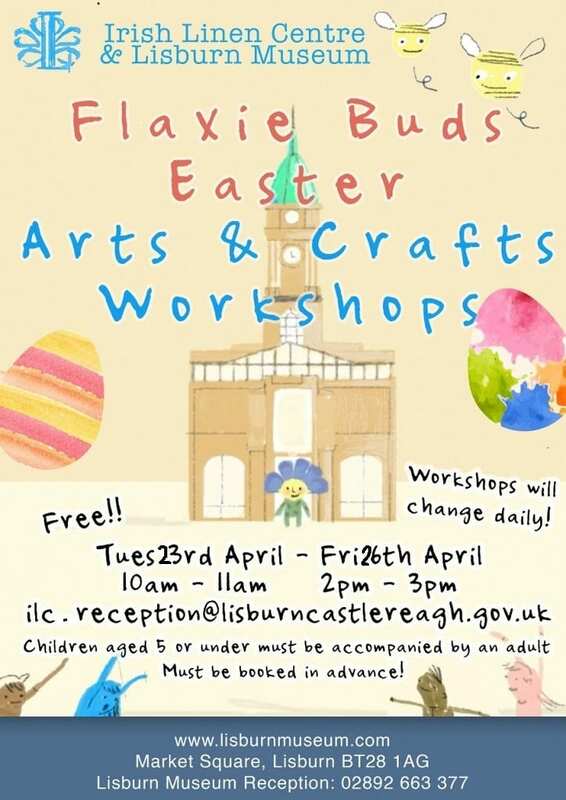 Running from Tuesday 23rd April – Friday 26th April 2019, workshops will change daily and run at 10am-11am and 2pm-3pm.